John’s Story: I was prescribed Levaquin in 2005. I could never have imagined that something as simple as an antibiotic could cause such devastating long term suffering. I have burning nerve pain and tendonitis. I also have central nervous system damage from Levaquin that includes insomnia, tremors, chemical sensitivities, food intolerances, head pressure, and vision abnormalities. The pain medications help but I hate being on them. 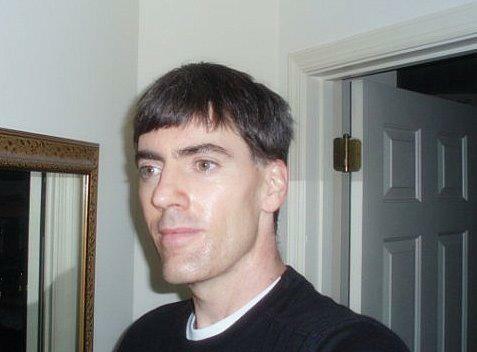 I have had some improvement from my acute stage but I seem to have leveled off over the last couple years. Prior to being prescribed Levaquin, I was in great health. I used to play basketball and racquetball. I was athletic and rarely ever got sick. I led a clean life. I was ironically a pharmaceutical representative. Levaquin took everything away. My life has been altered, like thousands of other people, from this defective antibiotic. My sister told me to make my mess my message, and that’s what I intend to do. 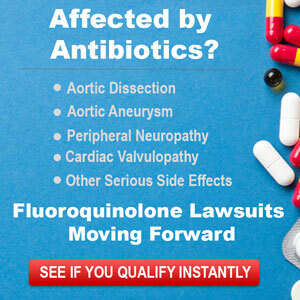 Levaquin is in a class of antibiotics known as Fluoroquinolones, or Quinolones for short. Cipro and Avelox are other Quinolone antibiotics that cause long term injuries. Quinolone antibiotics are one of the most commonly prescribed classes of antibiotics in the world. They are prescribed for common infections such as urinary tract, sinus, and respiratory tract infections. Because of their potency and toxicity, they are meant to be prescribed as a last line of defense for life threatening infections. They are not meant for routine infections, which is how they are often promoted today. Many of these side effects can even occur weeks to months after taking the antibiotic. Hence, many people never associate their injuries or health problems back to the antibiotic. Aproximately half of the Quinolone antibiotics that were once on the market have now been removed. Examples include Tequin, Omniflox, Trovan, and Zagam. Most people do not realize that the FDA gets over 50 percent of their funding for the review of drugs directly from the pharmaceutical companies in what is called prescription drug user fees. I didn’t even realize this when I was a drug rep. This is a conflict of interest that has made the FDA very slow and often reluctant to react to certain drug toxicities. The FDA does not do their own rigorous studies on the safety of prescription drugs. Instead, they rely on studies submitted to them from the drug companies. Even the FDA admits that 90 percent of all adverse drug reactions go unreported to their agency through the FDA Medwatch program. Sadly, the FDA has turned a blind eye to the Quinolone tragedy. Dr. Jay Cohen, a medical researcher and associate professor at the University of California, San Diego published a paper on severe peripheral neuropathy caused by Quinolones. Dr. Cohen mentions that these debilitating reactions are not rare. He mentions that most doctors have dismissed patient complaints or outright deny that Quinolones can cause this type of long term damage even though it is mentioned in the package insert. Even if one person in 100 suffers a grave side effect, that can still mean tens of thousands of people are affected. Some people have immediate reactions to Quinolones, others have delayed reactions. The delayed toxicity in which symptoms manifest many weeks to months after taking the Quinolone antibiotic is what has helped conceal the high number of people affected. The true number of people adversely affected by this class of antibiotics each year is astounding. Unfortunately, many physicians are undereducated and misinformed about the dangers of Quinolone antibiotics. Pharmaceutical sales reps skillfully downplay and minimize these severe adverse reactions. Drug reps are paid a bonus on the volume of prescriptions written by doctors. Because of this, they often do not provide a balanced viewpoint on the risk/benefit ratio regarding these antibiotics. It is important for doctors to try and take a more active role in educating themselves about the toxic nature of this class of antibiotics. Quinolones have harmed thousands of individuals physically, emotionally, and financially. It creates a terrible burden on family members who have to care for their loved one who has been injured by Levaquin or other Quinolones. It is also costing taxpayers in the form of social security disability, increased medical care costs, and lost productivity. There are many safer classes of antibiotics available that should be used before a Quinolone is prescribed. This class of antibiotics is being prescribed indiscriminately and without proper warning to patients. People deserve the right to informed consent and better disclosure of the potential irreversible damage. In addition, the overuse of Quinolone antibiotics leads to increased bacterial resistance. Johnson & Johnson has marketed Levaquin in a reckless manner in order to maximize profits. According to the FDA Freedom of Information Report for Levaquin, the drug has been associated with the following adverse events: Death, Renal Failure, Encephalopathy, Liver Disorder, Multi-Organ Failure, Blindness, Tendon Rupture, Fibromyalgia, Rhabdomyolysis, Nervous System Disorder, Polyneuropathy, and Deafness to name a few. Johnson & Johnson has long been aware of the devastating and crippling injuries from Levaquin. Unfortunately, the current leadership at Johnson & Johnson is morally bankrupt. The appalling level of greed by the Johnson & Johnson Board Directors has resulted in long term suffering that could have been prevented or greatly reduced. They profited at our expense. My mother and I sent packages of medical information on Levaquin to every Johnson & Johnson Board Director. None of them replied. They have abandoned their famous company credo of putting patients first. “Saving the World, One Patient at a Time” is their company motto. They can start by helping to address the health and social welfare concerns of people suffering from Levaquin toxicity. Well . . . Add me to the “‘Wall of Pain” I’m a victim of Cipro and Levaquin. Now I have severe peripheral neuropathy not only in my legs and feet but also in my hands. Now, I will have to live an altered life on pain medications. I can no longer hunt, garden, water sports, etc. I’m a regular “Walmart Electric-Scooter” rider. What a way to live the rest of my life. I’m so saddened by your story. I too have been poisoned by Levaquin. I suffer from horrible pain in my joints, knees, and have neuropathy. I never stop hurting. It’s taken my job as a Houston firefighter away from me. This is horrible and why can’t we get something done. Have you taken legal action. I don’t know what to do.